Weekend Roundup. The Sun Shone! Sounds like a good way to start the weekend, no? We hopped the S-Bahn in the late morning for the market and this is what we found, after double-checking the location information, date, and time. 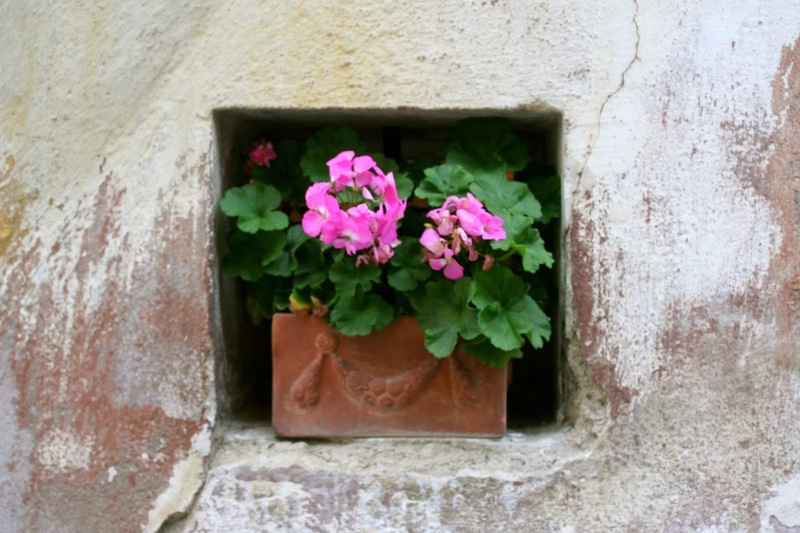 Even as I write this post I’m convinced we were somehow in the wrong location! Laughing off the obvious overstatement of the event, we wandered though Naschmarkt, always a crazy notion on Saturdays when the flea market is running, crowds are shoulder-to-shoulder, and falafel vendors come dangerously close to poking your eye out when they thrust a falafel-loaded fork into your face to sample. Our survival skills ready, we did manage to procure a few comestibles for later in the weekend. The Secession Building near Naschmarkt, an art gallery of sorts. A friend once commented that the top reminds her of a Raffaello candy, and now that’s all I ever think of when I pass by. Remembering that the Winter Palace of Prince Eugene was hosting an Open House, and that I had wanted to see the Rembrandt and Titian exhibit inside, we made our way to the palace. Thankfully we had toured the palace previously and could just focus on the exhibit, as the rooms were understandably crowded. Continuing our stroll after lunch at one of our favorite places, over to Rathaus we went for something called an, “Urban Village” festival. Zwiebelrostbraten and Backhendl. It’s just that good. Compared to most festivals and events on Rathausplatz this one was decidedly much lower key. In fact, we never figured out what the festival was all about, though we did enjoy playing on the large city map displayed across the square. Our last stop for the afternoon was at a flea market in Liechtenstein Park, the park connected to the Garden Palace Liechtenstein. Our expectations were tempered, as the source of this event was the same newsfeed that had oversold the farmer’s market. What can I write? Well, at least walking through the park was enjoyable. Inspired by the beautiful creation in the window of the former Royal and Imperial Patisserie, Demel, during our walk on Saturday, on Sunday morning Tony mentioned that he might enjoy an Apfelstrudel for dessert. Ordinary people might join the ranks of those doing the Sunday Shutdown Walk of Shame at one of the train station supermarkets that are open for said pastry, but the closest train station market to our house has an offensive odor, and we can barely tolerate dropping in when we have a real grocery need. That, and we are not ordinary people. 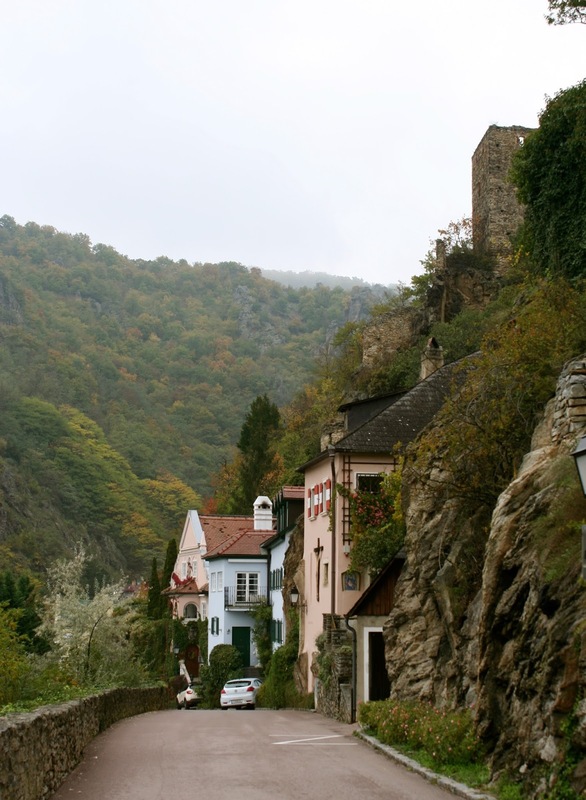 So, off to the Wachau Valley for a mini-road trip. For apples, naturally. 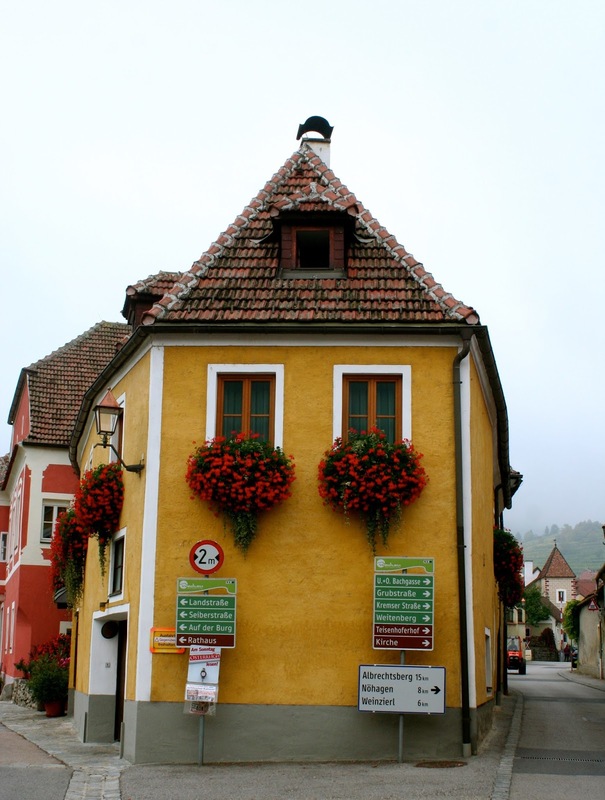 Even fogged in, the drive from Melk to Krems along the river is pretty. 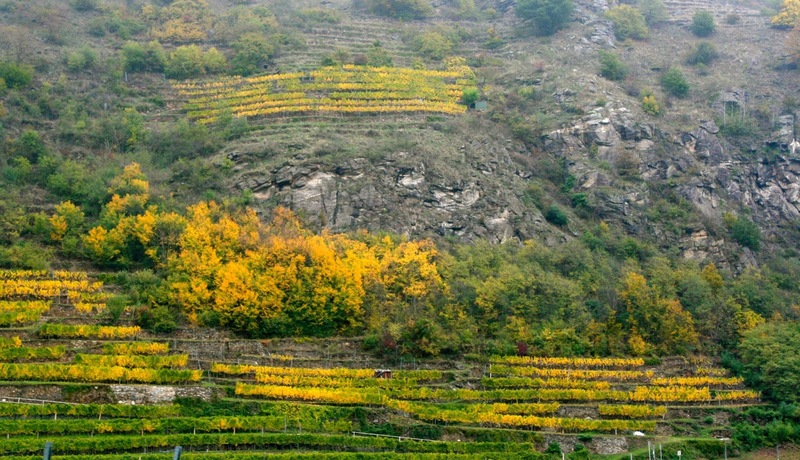 The vineyards in their autumn finery. 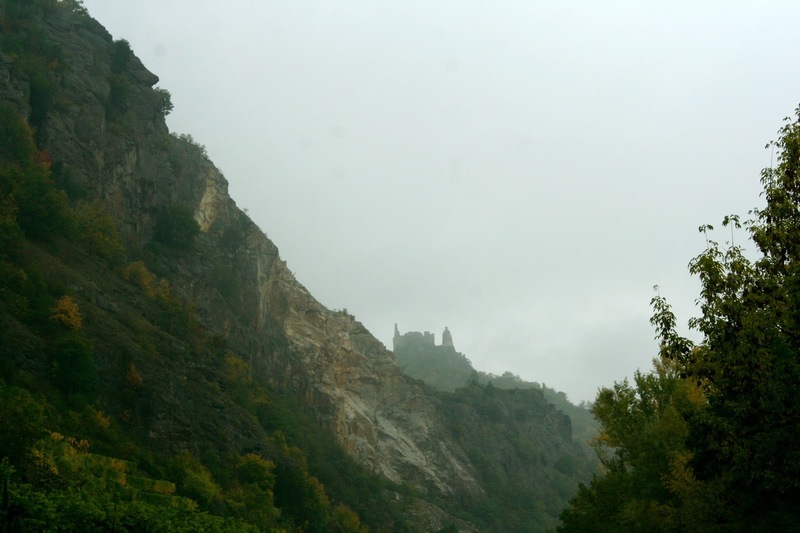 The eerie-looking ruins as we approached Durnstein. 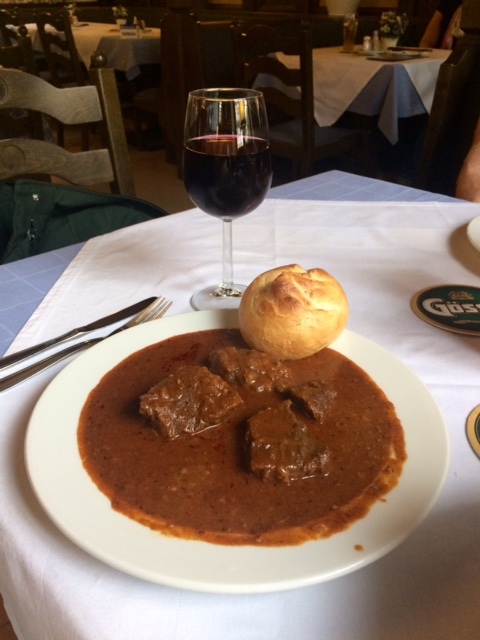 After a misty walk through Durnstein for some light shopping and dodging those tourists newly released from the cruise ship, we warmed ourselves with Hirschgulasch and a fabulous Zwiegelt red. 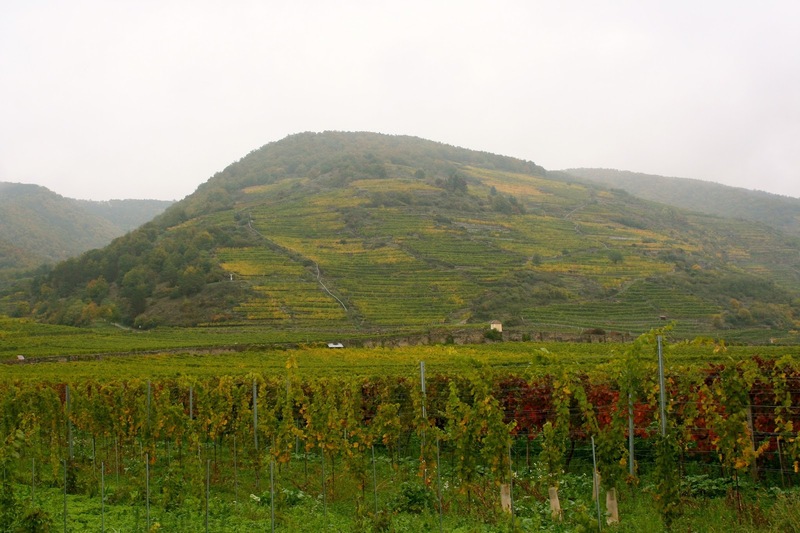 The Wachau Valley is known for its Marillen (“apricots” in English), and the area creates more products with the stony fruit than one might think possible. 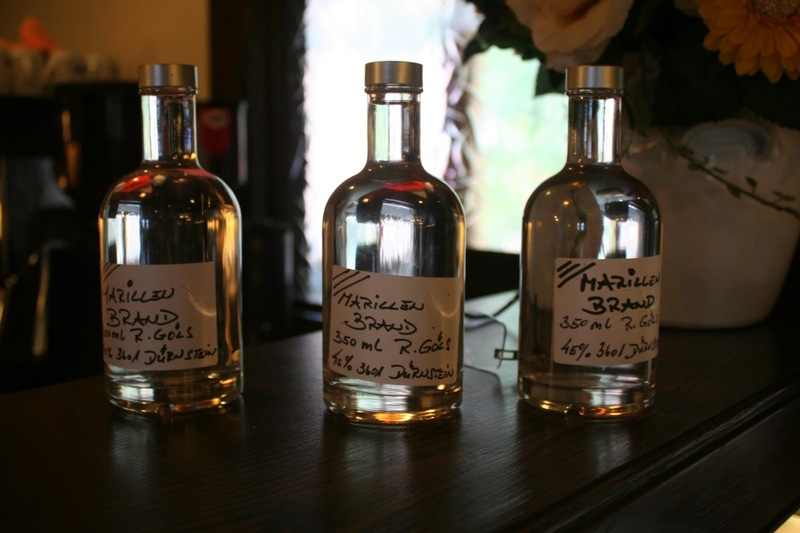 At the restaurant the proprietor was selling 45% proof housemade Marillen brandy. One whiff and I would have been laid out on the floor! The aroma of fresh apples filled the car on the drive home, and shortly thereafter, the aroma of warm Apfelstrudel filled the house. Weekend accomplished.